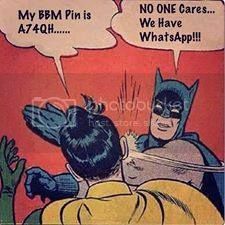 A couple of days back while having a lunch conversation with colleagues, I declared that Whatsapp may not survive primarily because there is no stickiness in the product. In case of social networks like Facebook, even if a new platform with some differentiating features comes up, your relationships are very difficult to migrate to another platform. Hence, users will not switch from one social network to another unless there is a generational shift in the features between the old and new one (ex. migration from Orkut to Facebook in India), because of the effort needed to migrate all relationships to the new network again. In fact, this is one of the reasons Google plus is finding it so difficult to grab users from Facebook even though critics claim that Google Plus has a better conceptualized social networking features. However, P2P messaging apps like Whatsapp, Line or Viber - lack any such stickiness because the relationships reside in your own phone address book, unlike a social network, where it resides with the social network. Hence, the moment a Viber offers better voice calls, users can immediately switch to using the service with other users in their address book - no waiting time to "add a friend" and wait for them to "accept" et. al. BBM has an long experience of messaging - many of its features and its UI has been refined over years of usage. A friend of mine said that he found BBM easier to use than Whatsapp or Viber. BBM has built in calling and messaging facility from the beginning. Whatsapp has created some stickiness factor in its service by introducing "groups" - yes unlike P2P messaging, your relationships in Whatsapp "Groups" does not reside in your address book but with Whatsapp. BBM might gain popularity among older generation of users many of whom are still on Blackberry and even if they migrate to iPhone or Android soon, they'll continue to remain on BBM. BBM might also become popular in privacy conscious societies like Europe because of privacy offered by the PIN. You can't find me on BBM even if I share my phone number with you, but not the PIN. But outside of that, the war will continue to be played out - feature by feature - between Whatsapp, Viber, Line and whoever else walks into the fray (including BBM) to gain market share among younger population or in non-privacy conscious geographies. The ultimate winner will depend on who can offer a better package of features and better performance factors (ex. better compression of video offering better fidelity or lower bandwidth cost per video etc.). There is also a possibility of an OpenSource collaboration to take shape so that one P2P messaging service can talk to another - two users can talk between a Whatsapp and Viber or Line and BBM. if that happens, the war will depend upon partnerships between mobile platforms and P2P apps - for example who can partner with a Windows phone or Android to offer the app as an inbuilt app on the phone. I think the whole industry will stabilize in 2-3 years time and clear winners might start emerging circa late 2015- early 2016. 0 Comments to " BBM mania and the future of Whatsapp "